You spoke. We listened. 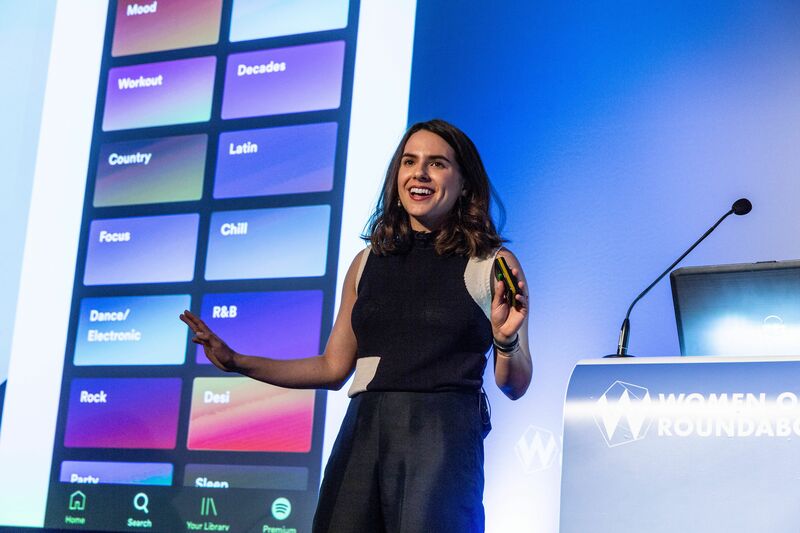 Women of Silicon Roundabout is back for 2019 and it's bigger and better than ever before. Embrace diversity and inclusion, broaden your professional network and discover new approaches to challenges at this year's conference. 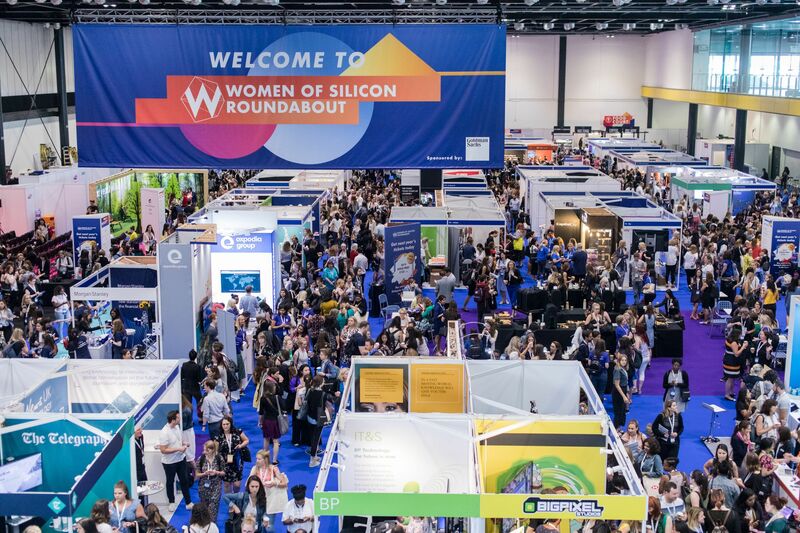 Here's how we've taken on board your feedback to ensure that this year's Women of Silicon Roundabout is the highlight of your tech event calendar. 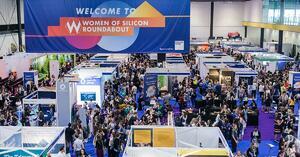 What did you think about Women of Silicon Roundabout 2018? So, you loved last year's event – 96% of you said that Women of Silicon Roundabout either grew your confidence or left you feeling inspired. The quality of the speakers, especially the keynotes. The supportive and welcoming atmosphere. The broad range of content featured in the speeches, workshops, and technical classes. 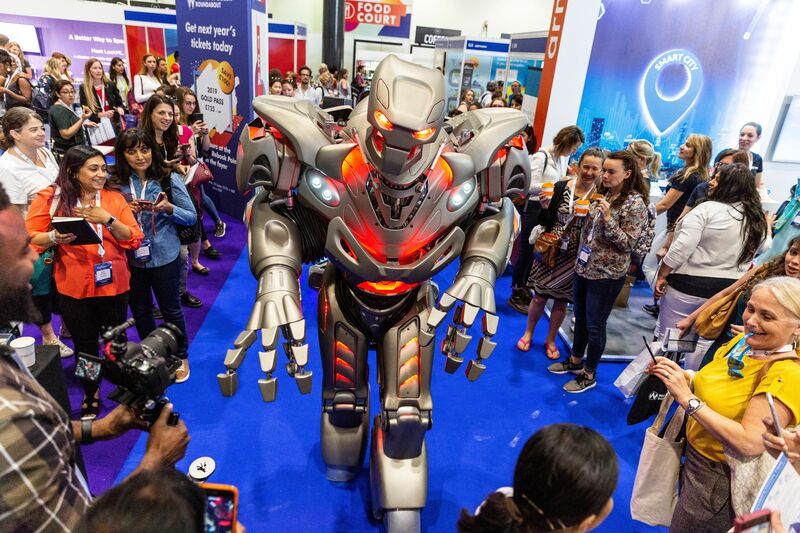 Expect this and so much more at this year's conference, taking place 25th - 26th June 2019 at ExCeL London. It's time to drive your digital economy. The most empowering tech event I’ve ever attended! 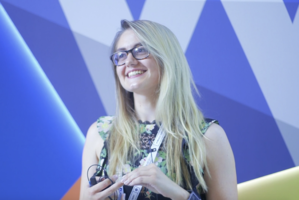 Why should you join us at Women of Silicon Roundabout 2019? 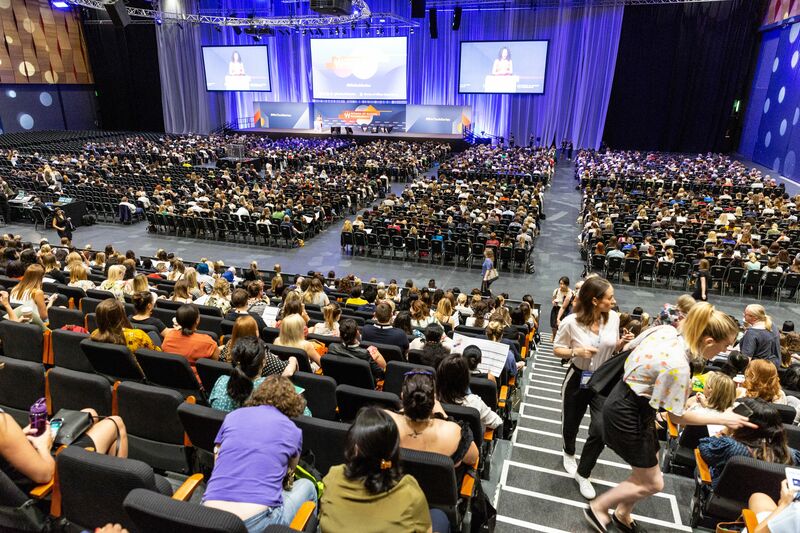 Building on the success of our 2016, 2017, and 2018 events, we have increased the number of inspirational speakers to over 300, attracting more than 6,000 technology leaders and professionals to the UK's vibrant centrepiece for women in tech. Join us in celebrating gender diversity in the world's fastest growing industry. In-depth technical content and practical sessions. 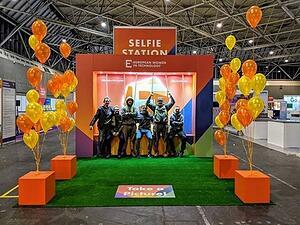 'How to' sessions on ways to attract more females to the industry. Information on how new technologies are transforming roles and how to build skillsets in these areas. 'How to' sessions on changing roles later in life. Sessions on agile project management. Information about female angel investors. Juggling work with being a mother/having a personal life. Finding confidence in the workplace. We can help you with all of this — our agenda is tailored to your needs. The Future of Tech: Disrupt or be disrupted! 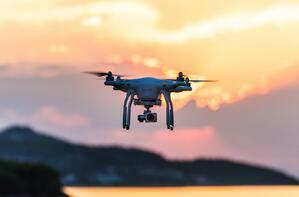 Which tech-change agent will you become? Your journey to truly cognitive technology: Robotics, RPA, Machine Learning, Deep Learning, Computer Vision, A.I. and beyond! Big Data and Analytics – creating change agents to win the data science war. To the intelligent edge – the next IT transformation. How to upskill fast and identify your pathway to seniority. Answering these requests: More in-depth technical content and practical sessions, more information on how new technologies are transforming roles and how to build skillsets in these areas, more sessions on engineering, more sessions for product managers, more sessions on data analysis and climbing the career ladder. The 2019 Tech-Pulse: Master today’s tech possibilities to improve your success right now! Beyond data lakes – how to turn data-driven decision making into practice. Evolving cloud – distributed tech, edge computing and its overlay implications. Automation – understanding software-defined segmentation. Answering these requests: More in-depth technical content and practical sessions, more sessions on data analysis, more sessions on engineering, more information on how new technologies are transforming roles and how to build skillsets in these areas. The Evolution of Work: Lead from the front by embracing, instead of fearing, the modern-day work environment. Fit for purpose recruitment practices to attract the workforce your future business needs. Work/life balance – creating space for wellbeing and productivity. Embracing the new project practices – Agile vs. Kanban vs. Waterfall. Answering these requests: More 'How to' sessions on ways to attract more females to the industry, juggling work with being a mother/having a personal life, more sessions on agile project management and more information on how new technologies are transforming roles and how to build skillsets in these areas. Founders Focus – Changing The World Through Entrepreneurship: Learn from fellow founders’ success stories and gain practical advice on how to scale your business. What to consider when investing in technology? 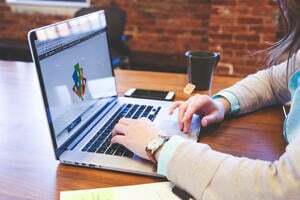 Outsourcing vs. in-housing your tech & tech teams - which way to go? Creating your pitch-deck – what to include & what it should look like. Answering these requests: More information about female angel investors and finding confidence in the workplace. Diversity, Inclusion and You! : Be empowered with the practical insight, tools and confidence you need to take action. Ageism – as working life extends into our 70’s how will it impact you? 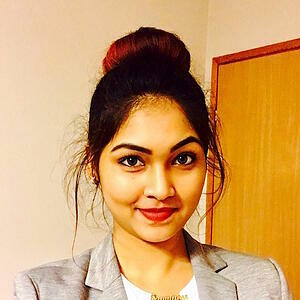 Upskilling fast – adapting to an ever-changing tech sector landscape. Pay gaps – looking into the true state of affairs and understanding the psychology of pay gaps. Answering these requests: Climbing the career ladder, finding confidence in the workplace, more information on how new technologies are transforming roles and how to build skillsets in these areas and dealing with unconscious bias. Career & Personal Development: Upskill yourself for the modern workforce! 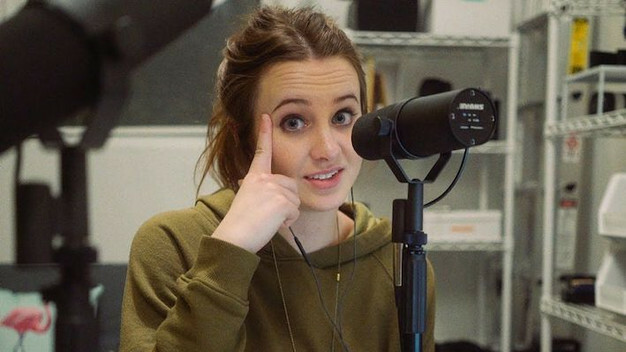 Practical tips & tricks for navigating your way into a tech-specific career. The fundamentals of changing careers at any age. Answering these requests: Climbing the career ladder, more 'How to' sessions on changing roles later in life and juggling work with being a mother/having a personal life. 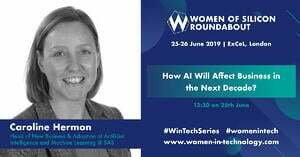 Who will be at Women of Silicon Roundabout 2019? Click here to find out about our Bronze Sponsors. There's more speakers to be added, watch this space! Book now to secure your spot among other innovators in your field. 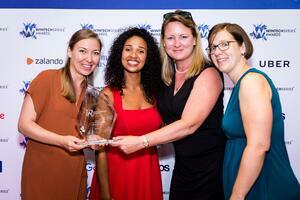 You can follow us on Twitter, LinkedIn or Facebook to keep up to date with everything Women of Silicon Roundabout.